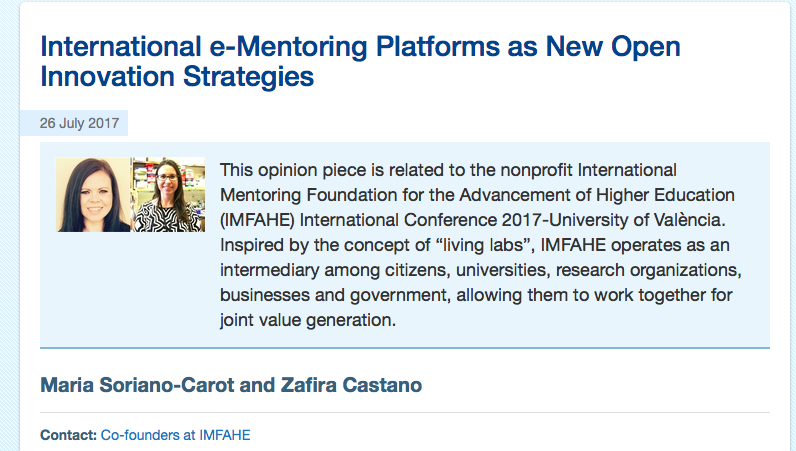 Here is the full article published by the European Commision about IMFAHE´s mentoring program. To contact IMFAHE, please send an email to info@imfahe.org. © Copyright IMFAHE. All rights reserved.